Silence, broken only by the rustle of the leaves and the bleating sheep. 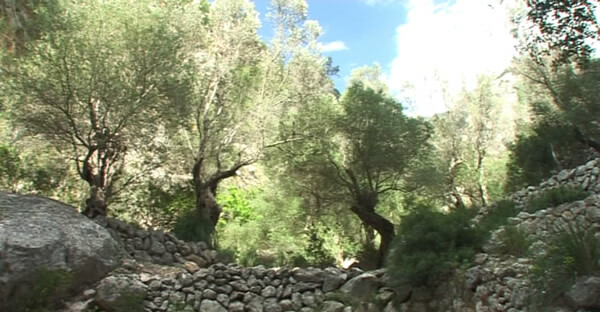 The terraces with their ancient, bizarre, gnarled shapes are used for the cultivation of olives and to have sheeps. 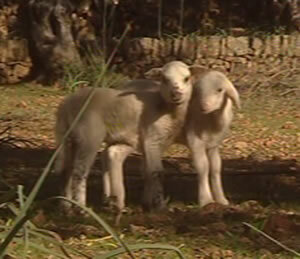 The animals enrich the soil around the trees and they eat the weeds. 90% of the olive trees are older than 500 years. 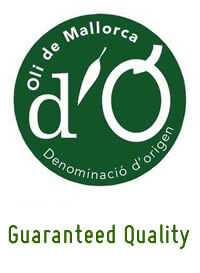 The Olivar, means olive grove, is today a real ecosystem, home for plants and animals that complement each other and with the Majorcan Microclimate create the best for the Majorcan olive oil. Calcareous and alkaline soils, high humidity, abundant rainfall and the sun create the unique and excellent conditions for it. 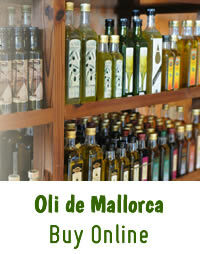 And also the Olivar is a popular destination for the Majorcan family. Walk to the Olivar, there people have an small casita where to grill and celebrate together. Waste or anything else will not be left behind.